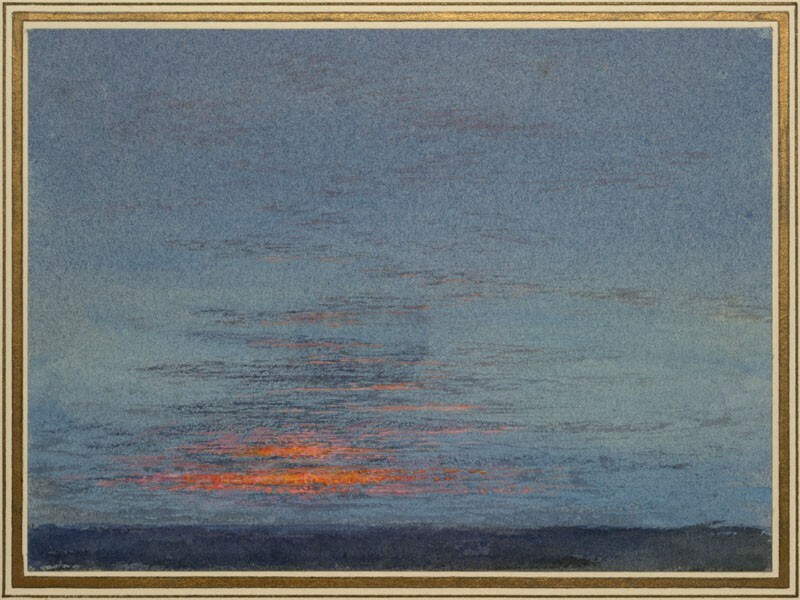 Ruskin took a special interest in the skies: the primary source of light in any landscape art and the physical canvas upon which divinity is sketched. 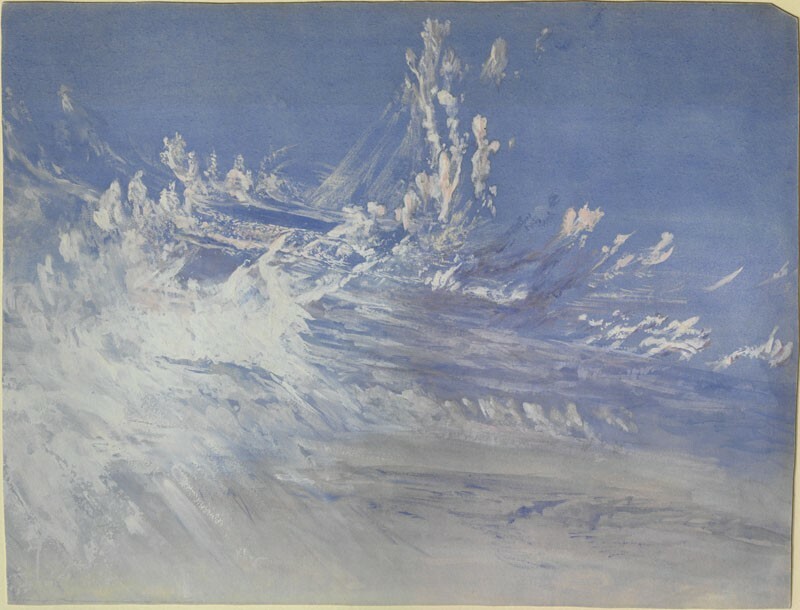 Cloud studies represented both the most important and the most difficult of subjects for the student of drawing because of the transience of cloud forms. 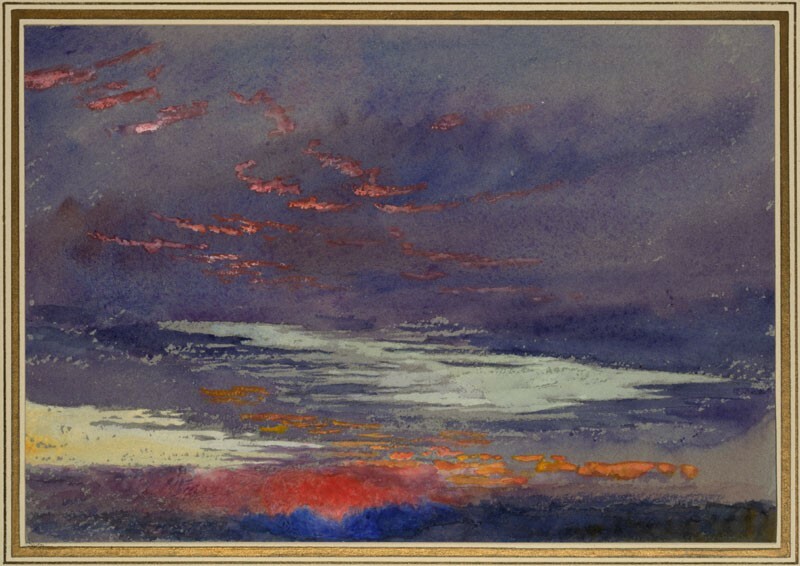 Ruskin recommended daily quarter-hour contemplation of the dawn clouds as part of morning devotions, keeping pencil and brush to hand to record particularly beautiful occasions. (21:106-107) From its origins, geographical education at the School of Geography required students to undertake a period of daily weather observation and recording. 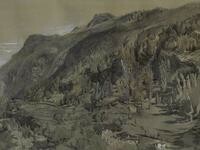 'Campo Santo, Venice' by JMW Turner, 1842, is now in the Toledo Museum of Art, Ohio.